I have been running Bradford Pit memorial project for around two years now, a project which aims to remember Bradford Colliery Manchester and the people that worked there. I have recently been employed full time by Laing O’Rourke construction to work full time on the project in the aim to create a monument in dedication to the miners on the former pit’s site: Sportcity Etihad stadium. Having seen on your website lots of different examples of mining memorials, I thought I would get in touch as I am currently researching and looking into the type of monument we would like and wondered if you could give me a few names of sculptors/designers who have dealt with anything like this? I also noticed a while ago that a lady named Laura Briggs emailed in to you about our project and her uncle Edward who worked at Bradford pit and was crushed trying to save his pit ponies. If you could put me in contact with her I would really appreciate it – as her story has touched a lot of people and only reminds me of why our monument is so important. 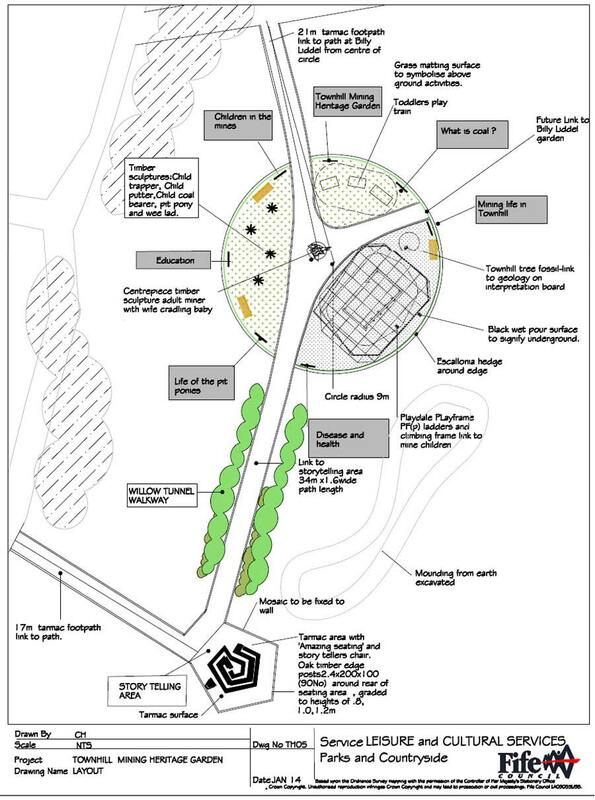 We are in the process of creating Townhill Mining Heritage Garden in Townhill Park, Townhill, Dunfermline paying tribute to our miners. The contractors have started work in the park, life size wooden carvings of mining children, a pit pony and a miner and his wife will be ready soon and we are in the process of putting images together for the seven A1 information panels in the Education through Play area. .
We are a community organisation and the garden will have free access for all. 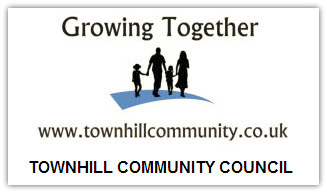 The Titles for the Panels are : Children in the pits, The Dark Side of the Mines, Life of the Pit Ponies, Geology and Transportation, Education, Mining Life in Townhill and a Welcome panel including information on Townhill Colliery Muircockhall Colliery and the Bevin Boys. Thank you, any help would be very much appreciated. 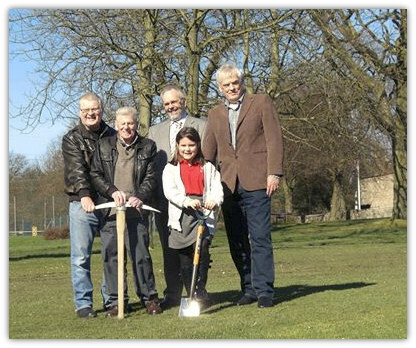 Bill McCulloch, Joe Miller, Councillor Willie Campbell and Councillor David Mogg with Poppy from Townhill Primary School Community Group doing the honours and cutting the first sod for the Townhill Mining Heritage Garden. Had the opportunity to meet Brian Brown this last year you may know him through his art sculptures on Tyneside and around depicting the mines and miners. Researching something totally unconnected and came across Frank Rileys email (Below) and data on Bignall Hill Explosion – very grateful to him for this background information – my connection – a relative contributing £1.0.0 to the relief fund. Strange world. 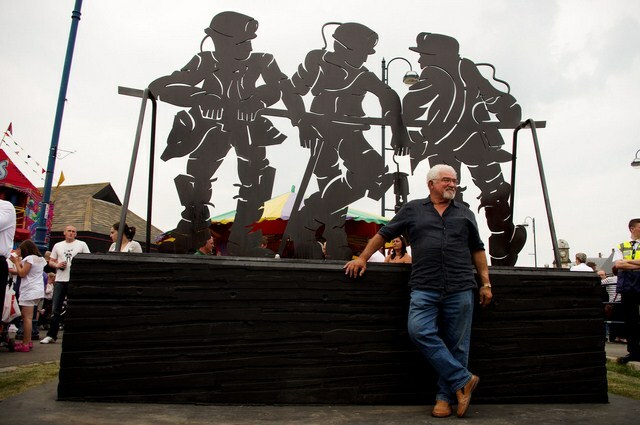 Brian Brown's memorial has been funded by Seaham Town Council, the AAP Neighbourhood budgets of five of the local Durham County Councillors and the North East Area Miners Social Welfare Trust Fund and manufactured by Dyer Engineering Limited of Annfield Plain.